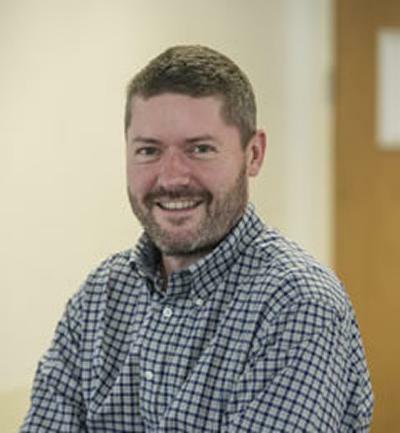 Pete Langdon is currently the Head of School of Geography and Environmental Science at Southampton. He studied for his PhD at Southampton from 1996-1999, and after a 6 year stint lecturing at the University of Exeter, returned to Southampton in 2006, and has been there since. Pete has broad research interests around Quaternary research, but specialises in reconstructing past environmental change from lake and peat sediments. He has worked on sediment sequences from every continent bar Antarctica, and tackled major research projects working on reconstructing past climate change, lake pollution and health, human-climate inter-relationships, and advanced the understanding of ecosystem tipping points. He has served as the Publications Secretary and then Honorary Secretary of the Quaternary Research Association from 2005-2014. He is currently a member of the NERC Peer review college, Associate Editor for Quaternary Research, and INQUA HABCOM commission Vice-President. Pete is actively working on a number of research projects with a range of collaborators. We have been collecting lake and swamp sediment cores from across multiple islands in the South Pacific to build up a coherent picture of centennial to millennial scale climate change in this region. These datasets will allow us to test for long-term changes in El Nino and other Pacific related climate phenomena and how they interact with changes in major pressure systems across the biggest ocean on the planet. The work also allows us to assess the timing of colonisation on these islands, where climate was a major driver of this, and the impact of colonisation on the island ecosystems. This work has been funded through support from NERC, National Geographic, the QRA, University of Southampton, and in collaboration with many in country colleagues. Wooller, M. J., Saulnier-Talbot, E., Potter, B. A., Belmecheri, S., Bigelow, N., Choy, K., ... Williams, J. W. (Accepted/In press). A new terrestrial paleoenvironmental record from the Bering Land Bridge and context for human dispersal. Royal Society Open Science. Zhang, E., Chang, J., Cao, Y., Tang, H., Langdon, P., Shulmeister, J., ... Shen, J. (Accepted/In press). A chironomid-based mean July temperature inference model from the south-east margin of the Tibetan Plateau, China. Climate of the Past. Dubois, N., Saulnier-Talbot, É., Mills, K., Gell, P., Battarbee, P., Bennion, H., ... Valero-Garcés, B. (Accepted/In press). First human impacts and responses of aquatic systems: a review of palaeolimnological records from around the world. The Anthropocene Review. Axford, Y., Levy, L., Kelly, M., Francis, D., Hall, B., Langdon, P., & Lowell, T. (Accepted/In press). Timing and magnitude of early to middle Holocene warming in East Greenland inferred from chironomids. Boreas. Cao, Y., Zhang, E., Tang, H., Langdon, P., Ning, D., & Zheng, W. (Accepted/In press). Combined effects of nutrients and trace metals on chironomid composition and morphology in a heavily polluted lake in central China since the early 20th century. Hydrobiologia, 779, 147-159. Yao, Y., Zhang, E., Kuhn, N., Jones, R., Langdon, P., Shen, J., & Greenwood, P. (2013). Sediment provenance in the Shudu Lake basin, northwest Yunnan Province, China, as revealed by composite fingerprinting. Die Erde, 144(1), 17-29. Langdon, P. G., & Barber, K. E. (2002). The 'AD 860' tephra in Scotland: new data from Langlands Moss, East Kilbride. Quaternary Newsletter, 97, 11-18. Blockley, S. P. E., Lane, C. S., Oh, A., Ditchfield, P., Bogaard, A., Langdon, P. G., ... Bailey, R. M. (Eds.) (2009). The human dimesion in rapid environmental change. (Quaternary Abstracts; Vol. 1). UK: Quaternary Research Association. Barber, K. E., & Langdon, P. (2001). Peat stratigraphy and climate change. In D. R. Brothwell, & A. M. Pollard (Eds. ), Handbook of Archaeological Sciences (pp. 155-166). Chichester, UK: Wiley. Langdon, P. G., & Barber, K. E. (2003). Peat stratigraphic reconstructions of Holocene climate change in Scotland. In IXVI INQUA Congress Program with Abstracts (pp. p.157). Reno,Nevada, USA: Geological Society of America. Langdon, P. G., Barber, K. E., & Lomas-Clarke, S. H. (2003). Reconstructing climate and environmental change in northern England: evidence from Talkin Tarn, Cumbria. In 9th International Paleolimnology Symposium Helsinki, Finland: University of Helsinki. Langdon, P. G., & Barber, K. E. (2001). Snapshots in time: precise correlations of mire surface vegetation and proxy climate records using tephras. In Changing Wetlands: New Developments in Wetland Science: abstracts Sheffield, UK: University of Sheffield. Barber, K. E., & Langdon, P. (2001). Testing the palaeoclimatic signal from peat bogs - temperature or precipitation forcing? In Abstracts, PAGES-PEPIII/ESF-HOLIVAR International Conference: Past Climate Variability Through Europe and Africa (pp. 58-59). France: ECRC/CEREGE. Barber, K. E., Hughes, P. D. M., & Langdon, P. (2000). EUROPEAT - European Peatlands and Palaeoclimate Research Programme. 58-59. Paper presented at Global Change in the last 250,000 years. PAGES / IGBP / Royal Society meeting, . Barber, K. E., Hughes, P. D. M., Langdon, P., & Mauqouy, D. (2000). Extending, validating and calibrating the peatland proxy climate record. 17-18. Paper presented at Quaternary Research Association Annual Discussion Meeting, United Kingdom.